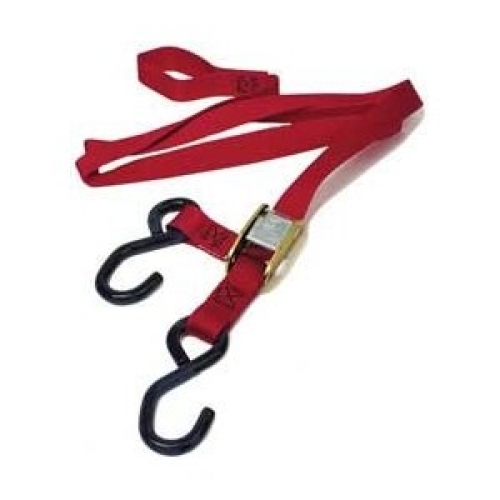 Ancra Original Red Tie Downs, 4,500 lb. tensile strength webbing, 2-vinyl coated "S" hooks, Overall length of 66", 1,200 lb. min. assembly strength, 400 lb. working load capacity. Packaged in pairs. These are the Best, original, one and only Ancra Motorcycle Tie Downs. The only time you need to replace these, is when you loan them to somebody else. Buy the best tie downs money can buy, hands down!